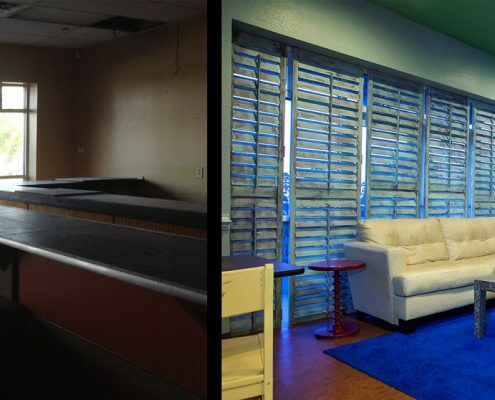 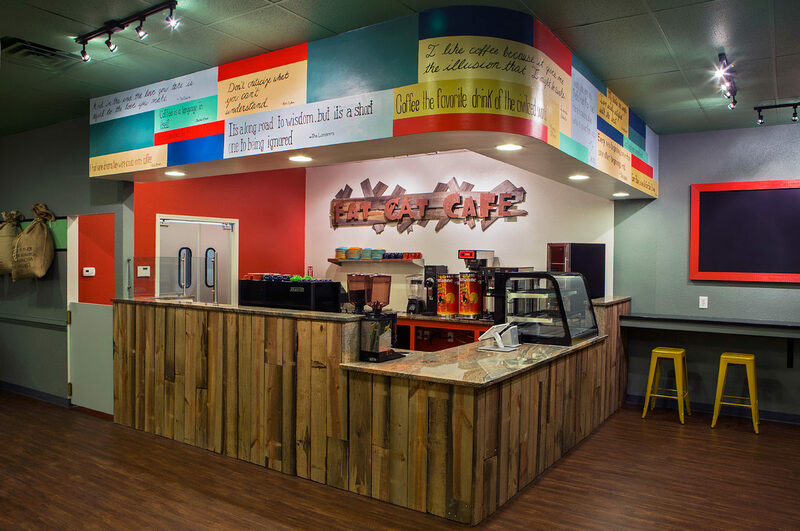 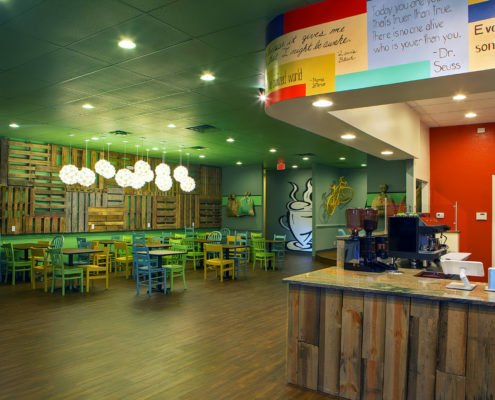 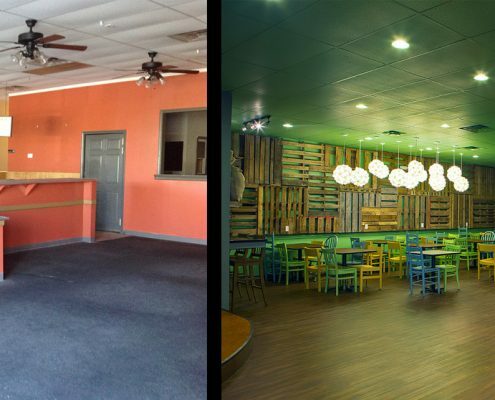 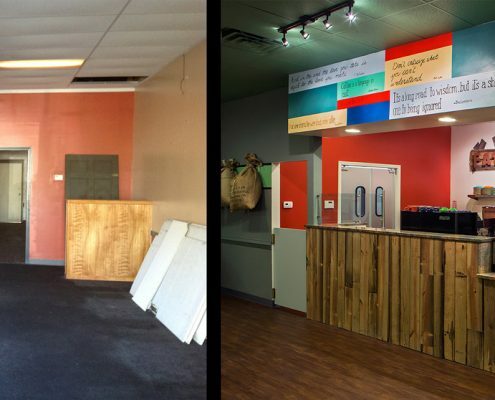 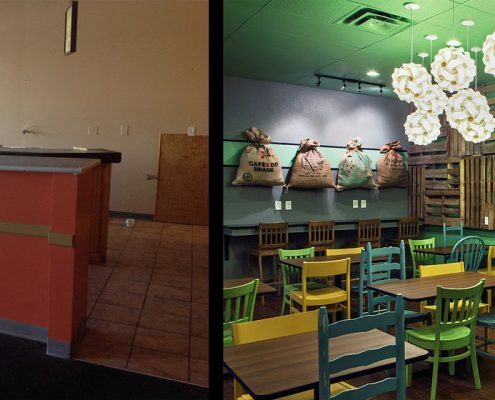 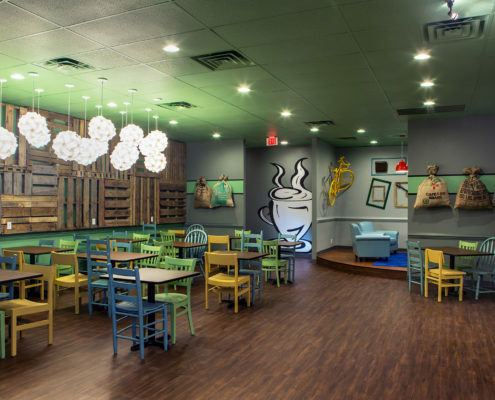 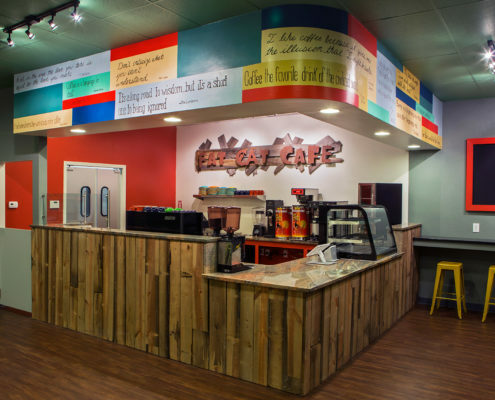 Once a popular pizza parlor, the client retained our services to transform this space into a popular neighborhood coffee shop. 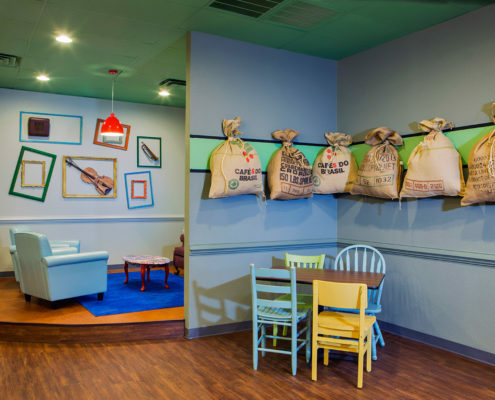 Given the large family population of the area, the design needed to accommodate a variety of age groups. 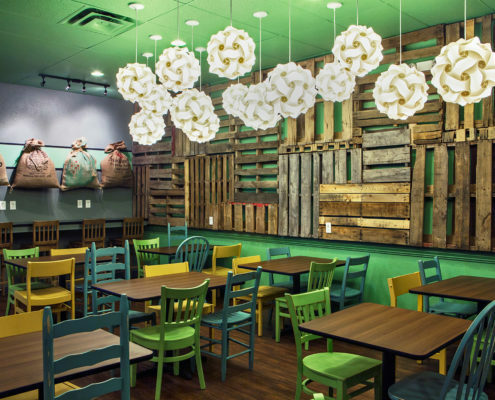 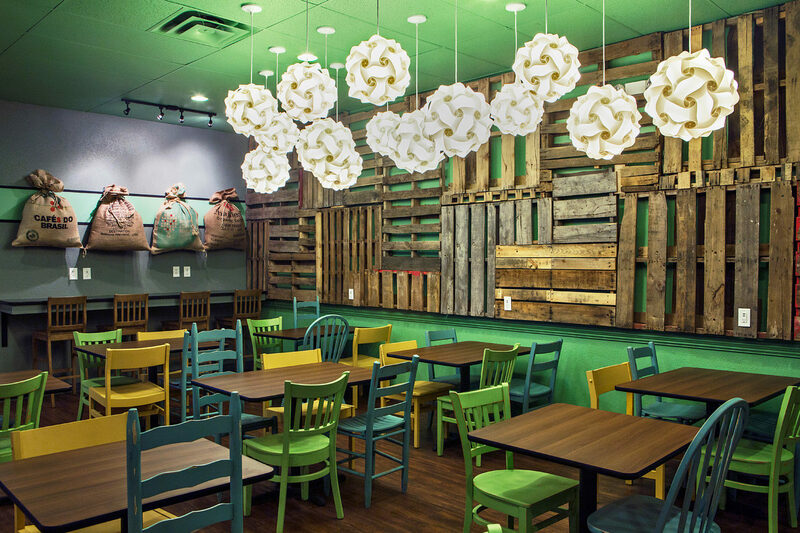 A bold green color was applied to a focal wall, which was then finished with raw shipping pallets that allow the color to peek through. 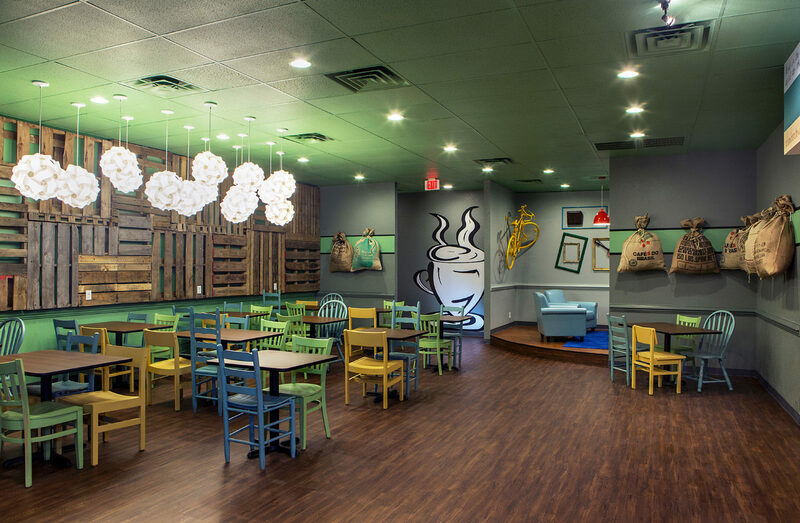 Industrial size coffee bean bags run the perimeter of the space, contrasting the collection of white pendants, modern graphics, and inspirational slogans. 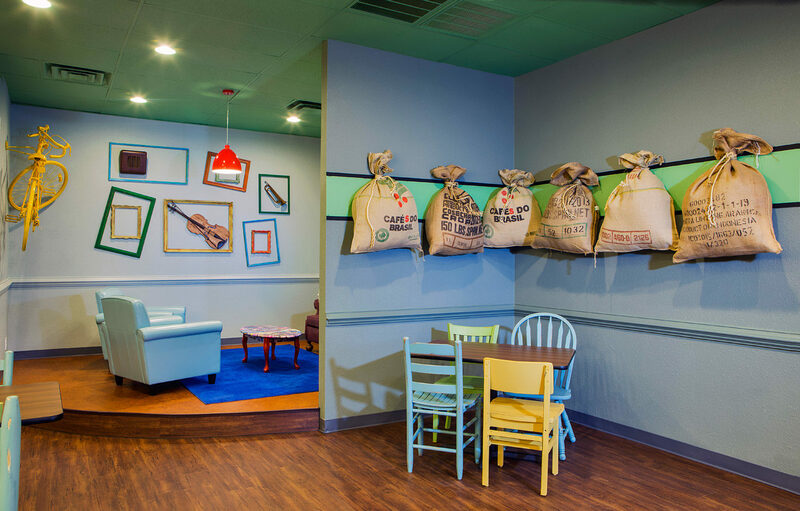 Two lounge areas provide comfortable seating for coffee and conversation along with fun décor and contrasting colors. 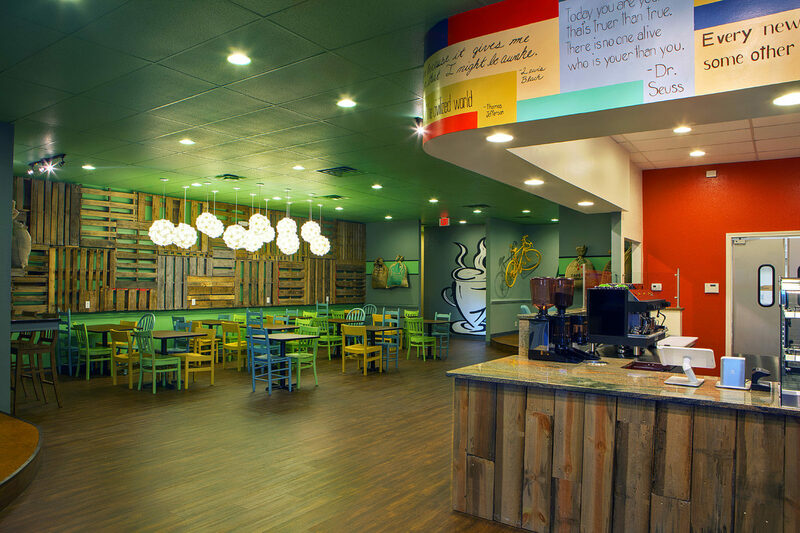 This vivid and original design coupled with the smell of warm coffee give the neighborhood something to talk about.